For Teens: Am I Depressed or is It Just a Phase? Welcome to PBIS World! - ﻿Positive Behavioral Interventions and Supports﻿. ​Am I depressed? Identifying what’s wrong. Thank you for your interest in The Counseling Center of Wayne and Holmes Counties. We receive many requests to place resource links on our website, therefore the Professional Development Committee has established website posting guidelines for our Tid Bits page. 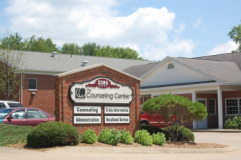 Priority will be given to material that enhances the value of the information that The Counseling Center is providing on our web site and is related to behavioral healthcare. 1.The Counseling Center does not accept solicitations for links from our website to any other website. 2.If you have an article or fact sheet that you think will be a good resource for our clients, please email it in pdf form for review. 3.While we will not endorse any product or company, feel free to include logos and appropriate credit on your documents so that people know the source. 4.The Counseling Center does not pay for resource material placed on our website. Header Photograph by Dave Snyder.